It’s frightening to know that a world without love could exist. It’s frightening to know that love could become both a disease and a crime. Yet Lauren Oliver created that world I did not expect to love. I absolutely love the concept of Delirium. 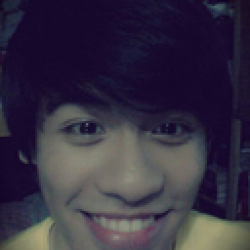 I was actually awakened with the flaws of love. Love could kill you because of envy. Love could lead to war if used in a harmful manner. Love could actually change your whole being. Oliver wrote it in a way not to fear love but to understand more about it, to see what is really happening when we fall in love and those were things that got me lured over Delirium. I very much admired Lena’s character. She embodied the two different beliefs of love in Delirium—or even in our world today—the one longing to be cured from love and the other one unknowingly falling in love. Oliver really showed Lena’s heart and mind contradicting each other—as what is also happening to every human being when we get to fall in love. I also loved how Oliver used Hana and Alex as instruments for Lena’s gradual transformation as a character. In Hana’s character, Oliver used her as her best friend who was also gradually changing yet didn’t flourish; thus, giving some contradicting feelings to Lena’s own beliefs in her society which was so much strong for her especially when she came to appraise her family’s past. Then when Alex’s character came, that was when the great change in Lena’s life came. Another thing that sets this story apart was the forbidden romance between Lena and Alex. Their romance was natural and so much intriguing not the kind of awkwardness I feel in other books. They too are a beautiful reminiscent of Romeo and Juliet but much more. Love is really a beautiful thing so does the words written in Delirium. It flowed endlessly like waterfall you can’t just stop and rather be carried away. Every passages in every chapters, every realizations of Lena, I can’t help myself not to forget all those things. 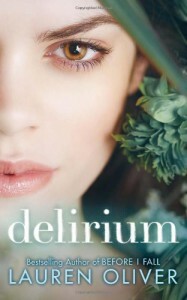 The story of Delirium was brilliantly and powerfully conceived. Right from the beginning, I was completely in utter amazement over Delirium. This book absolutely stole my heart include the unexpected ending that I can’t wait to find out what really happened in the following books. With every written word, with every turn of events, Delirium is a kind of tale which you can’t just let go. Lauren Oliver masterfully crafted a beautiful tale of love, friendship, and freedom. Check out Mr. Book Wonder for more reviews.